Mikkel's chocolate life, in his own words. Tell me about your life before chocolate; what is your professional background? I played around after high school playing lots of music and in bands until one day -age 22 – I decided to pursue cooking professionally. I am a trained chef – I apprenticed and worked under Jan Cocotte Pedersen who is famous for making the food for “Babette’s Feast”. As a chef I co-owned a small fish restaurant by the sea in northwest Sealand town of Rørvig. We closed down in winters and I then traveled the world refining my craft and doing stages at the best restaurants I could get into. I ended up doing 4 winters in San Francisco working at places like Elizabeth Faulkner’s Citizen cake and Chez Panisse – and already on my first trip I met Robert Steinberg and John Scharffenberger just when they had started Scharffenberger chocolates in 97/98. I have been distributor of their stuff since 2000. My food has always been driven by a search for the best produce – and working with farmers and fishermen to get the right product. This is almost everyplace today but back in the middle of the 90s it was quite radical. In 2003 I did my last season at the restaurant, and I started a bakery in Copenhagen. I started with 1 customer and built it up to a seven day a week workshop with 40 cafés and restaurants getting bread and cakes from me on a daily basis. I ran it for 5 years until I was so overworked and exhausted that I decided to sell it and do something else. The bakery was very much a thing I had always wanted to do – I have an affinity for the sweet part of the kitchen, and making good bread is always in demand – especially when bakeries seem to make a more and more bland product. 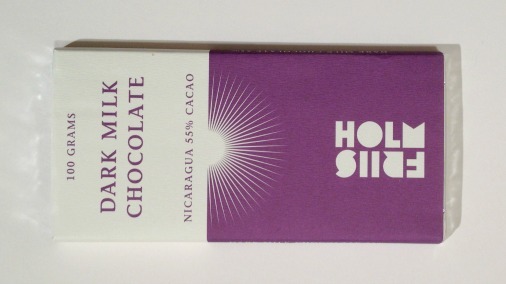 Dark milk bars with high cocoa percentage and stunning Nicaraguan cacao. You could say I had the desire to do so since the start of the millennium – but my other projects kept me busy until summer 2008. Six months before the bakery was sold I hooked up with Frank Homann – of Xoco Gourmet in Honduras – this came about through Robert Steinberg who was a mutual mentor and friend of ours. Frank needed a Danish based partner for a Cacao project in Nicaragua and after getting to know each other for 10 minutes on the phone – we were in business. After selling the bakery I took a six-month sabbatical on the sofa – well actually… I had been asked to write a book on chocolate for a big Danish publishing house. So combining the very young project in Nicaragua and writing on the subject + putting down some of my best recipes for the book, kind of put me on the track for making the chocolate. The biggest hurdle you have to jump when making chocolate (in my philosophy) is to get the right cacao – the right produce again… This is almost impossible since the really good cacao is mostly taken by the “old” guys already in business or who can afford to travel to meet the people. And the rest of the world’s cacao can very easily be something else than stated. There is a lot of fraud with origins and type out there. Robert Steinberg said that only 1-2 samples out of 20 he got would actually be the same as the final delivery, or any good at all. The Nicaragua project gave me my ticket in. You can see how some of the cacao from this project has also benefitted Duffy from Red Star. Especially the Honduras “Indio Rojo/Red Mayan strain. It is really amazing trees. I take the cacao down to Stephane Bonnat in Voiron. He lends me several generations of knowledge in this field. I have my own ideas of how I want the cocoa treated – leading to classical discussions of merit – he is French you know – and the French self confidence in all things food related is not matched anywhere in the world. I do have my preferred (different) roasts and work with a different percentage of cocoa and sugar than he does – he also has a different perspective on and preference for cocoa than me. My access to cocoa and machinery so far has not given me the possibility to do a lot of experimenting. Or I have experimented directly to bar so to say. 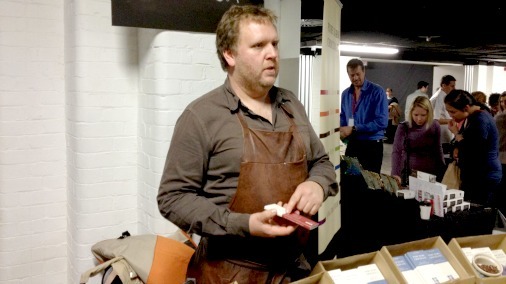 But Stephane is a master artisan and I really like and admire his way of making chocolate as well as his happy nature. The contents are even better than the packaging! What have been some of your greatest discoveries? Working with the beans we selected in Nicaragua – tasting and discovering the difference good genetics do. And then just as important the post-harvest practice of fermentation and drying. In my opinion the potential of cacao is realized right there where it grows. And then we chocolate makers can try to fulfill that potential or interpret it with the knowledge and machinery we have. If we go back to when I started to import Scharffenberger to Europe in 1999 – there has been a big change in attitude. But I think we still have the biggest revolution in front of us. The consumer is starting to wake up to all the possibilities out there – helped a lot by the way, with the blogs – which often work as core probes right into the most interesting and happening products and methods. The professionals are also getting there… more slowly. The mass market producing has forced chefs to look for small producers if they do not want to be left with a bland product. However with the busy days and skewed economics of running cafés and restaurants it can be just as exasperating as it is wonderful to work with them. On one hand you deal with professionals who have experience in tasting and often a very direct idea or use for the chocolates – this is wonderful. On the other hand it can be very opinionated, crazy and money-driven at the same time. In 2001 some chefs laughed right in to my face when they heard the price. Today – when they go for it – the price is not an issue. 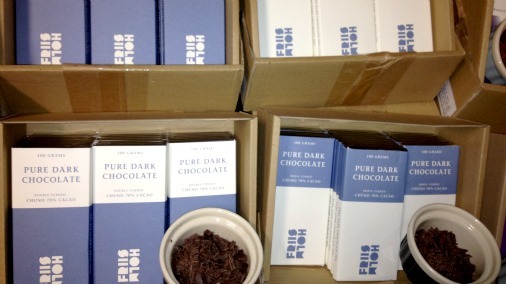 The 55% Dark Milk Bar recently won best milk chocolate in Europe at the International Chocolate Awards. I envision a revolution akin to micro-breweries and coffee roasters. But perhaps at the same time with a product that has more in common with wine. We do need the cacao producers to follow though – if we want it to be successful. As I said above, so much of the quality happens right there in the jungle in a developing country. The finished chocolate is a collaboration of the cacao grower and the chocolate maker – 2 different worlds working together. So much more high-end chocolate and many more people willing to pay the price for the artisanal product. The classic chocolatier will have to share the podium (and some of the best happily do) or collaborate with the chocolate makers coming around. I also see a future where there will be a much more ethical approach to how the cacao is obtained than now. The majority of the people who are hailed as artisan chocolatiers all over the world – even the famous ones, use chocolate which derives from slavery like conditions and is picked with abducted children as cheap labour. Hence the (cheaper) price. We need a much higher standard among our own – and at the same time educate our customers to the problem. It is not a human right to eat (cheap) chocolate every day and I do not want to take away others “human rights” to produce a cheaper more market-friendly product. Yes. Looking back it definitely seems to be so. I always cooked for our parties in high school – even being sought after as a commodity to make a great party. And I wanted cook-books for my 18 year birthday… It took me a few years to realize it myself and go pursue the fine arts of food instead of thinking I needed an academic degree. Nowadays I would have started earlier – with all the opportunities that exist to put an academic angle on an old blue-collar job. For example the Slow Food university in Italy do a fantastic job of educating young people to make a sustainable and better world for quality foods. It hurts to say “the young people” but the age max. is 35 so that train has left for me. On the other hand I have done my own autodidact version of it all my adult professional life. 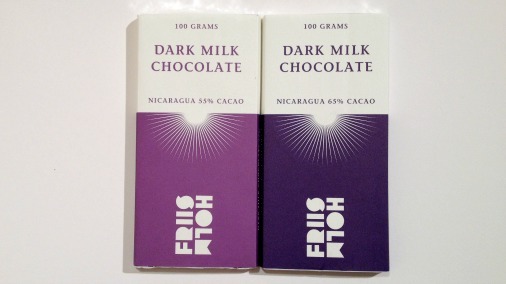 Friis Holm bars on their stand at Chocolate Unwrapped. Tremendously! It grows on you. You see, there is so much crap out there. And if you haven’t tasted the good stuff you can lead a whole life without discovering and learning to appreciate what chocolate is capable of doing. Same goes for red wine, coffee etc etc. by the way. The difficult thing for chocolate as a whole though – is that the consistency and the way it melts also applies to cheaper chocolates. This sensation means much more than we would like to admit. That means I try to concentrate on how flavour is released and expressed in my tastings – this is much more the avenue that interests me. The more I taste the more I expand my universe and knowledge of chocolate and cacao. And I really enjoy the diversity cooked up out there – while still having my favourites and preferences. Today I rarely order the chocolate dessert at a restaurant – unless I know which chocolate they use. I have become such a picky chocolate eater. Congratulations on winning such prestigious medals at The International Chocolate Awards (the World Silver for a milk bar for Nicaragua 55% dark milk 2012 and European Gold 2013). Have you had some great feedback? How does it feel to win awards and witness responses to your chocolate? Thanks a lot – it is absolutely fantastic and intoxicating to have fostered chocolate which can stake its own claim among all these other super chocolates. The feedback I got underlines how different people taste and interpret chocolate. And I must say, at present, I do not think it is possible to engineer a chocolate to win. It is much more important to have a personal vision of where you want to go taste- and consistency-wise. The different awards have opened up the doors to markets far away – that’s the business side. But foremost it has initiated meeting a lot of fantastically crazy-wonderful chocolate people. 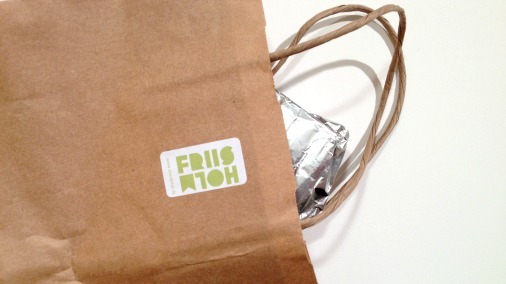 What is coming next for Friis-Holm? What plans do you have for the chocolate and for your business? Next up is making my own bean to bar operation – with a little luck up and running this year – aiming for right after summer but that is being optimistic – and I tend to be. At the same time I hope to get distributors and shops around the world to carry my chocolates and make the ride fun. The work in Direct Cacao also looms big on the horizon – this is important basic research/work that needs to be done to elevate chocolate and chocolate making to the next level. Lots of plans and ideas to fulfill chocolatewise. But I would rather present them as products when ready to meet the world. You know – for every 10 ideas – only one should or can obtain the quality I hope to make. Two of the ideas should have been culled at birth… And the rest are probably not that original. What is your own desert island chocolate, or chocolate recipe? I have the “best” dark chocolate cookie recipe I picked up in San Francisco at Citizen Cake many years ago – works wonders with a fruity-acidic 70% chocolate. But I would be happy to settle for a batch of my 70% Nicaliso.